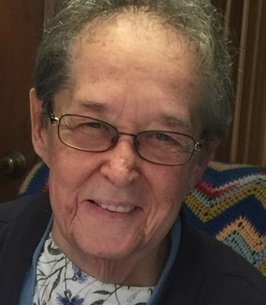 OXFORD- Helen (Laskowski) Ives “Auntie LaLa”, age 81, beloved wife of the late Victor W. Ives Jr., entered peaceful rest on Sunday, August 12, 2018 at the Lutheran Home of Southbury with family by her side. Born in Scranton, PA on May 21, 1937, she was the daughter of the late Stanley and Esther Laskowski. She was a supervisor for the CR Gibson Co. in Beacon Falls....but her passion was being a homemaker and caring for her family and others. An avid bingo and card player, set back being her favorite, she also enjoyed the Yankees and western movies ....she was her son Victors kemosabe!!! Helen is survived by her loving son, Victor W. Ives III and his wife Gail of Southbury and two adored grandchildren, Amanda and Victor and her furry entourage Georgie, Moose, Gracie and Elouise. Her sisters Mary Tichy, and Clara Harkins, late brothers Stanley and Chet Laskowski, late sisters Josephine Falbo and Anna Labowski and many nieces and nephews. A Memorial Mass will take place on Saturday, August 18, 2018 at 10 am DIRECTLY at St. Thomas the Apostle Church, 733 Oxford Rd, Oxford. Interment will be held at the convenience of the family. The Ralph E. Hull Funeral Home 161 West Church St. Seymour, CT 06483 has been entrusted with her arrangements. To send flowers to the family of Helen "Auntie LaLa" Ives (Laskowski), please visit our Heartfelt Sympathies Store.